We know from experience that the Big Island of Hawaii is a great place for both beginner and experienced surfers to catch some great waves. 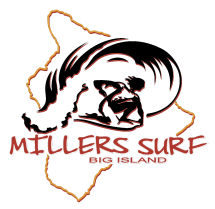 At Miller’s Surf and Sport we have been providing great surf gear to customers for over 17 years, and have been obsessing over the best products for even longer. 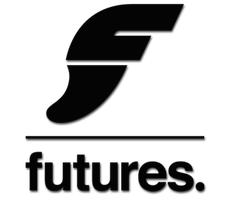 Providing tried and true surfboards, we can give recommendations that will help you find the perfect board for your skill level and budget. We have a diverse selection of surfboards and pride ourselves in offering great prices so that you can easily find what you want and get out of the store and where you belong - on the beach! At Miller’s Surf and Sport, we carry a selection of soft foam surfboards from Stormblade, and Catchsurf Beater, including the 48 & 54/ Beater 54 Special- square tail/ Odysea stump 5' / Odysea Skipper 5'6. We sell our products on a first-come-first-serve basis, but we also have the ability to custom and special order products for serious buyers! If you are in the market for a great surfboard, come in and talk with us and we will help you find and order exactly what you want! If you are a beginner to the sport of surfing, we want to help you safely learn so that you can continue to enjoy the waves for as long as possible! Kona Town Surf Adventures at Kahalu’u Beach Park, located just ten minutes south of our shop, offers great lessons at a great price. We can get your set up with lessons in-store during your next visit, so don’t hesitate to ask! We also offer other surfing accessories like wetsuits and GoPro accessories. After all, we are the one-stop-shop for all of your surfing needs on the Big Island! Come in and say Aloha today!